General Dentistry and Orthodontics (Springfield) - Book Appointment Online! 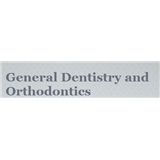 The mission of General Dentistry and Orthodontics is to provide our patients with the highest quality dental care possible in an atmosphere which is pleasant for patients, and the GDO Team. Patients are treated with professionalism, kindness and understanding. The GDO Team will always strive for excellence in professional and personal service. Feel free to visit our website for more information www.primegdo.com. At General Dentistry and Orthodontics Dr. Arababi cares enough to listen to your needs. She realizes that every patient is different and she is dedicated to providing you with personalized gentle care. Our entire office is very diligent in providing a relaxed atmosphere in pleasant surroundings. We take the time to explain your treatment and why it is important. Knowing what to expect will assist you to relax. We are here to serve you.